Coach Wade has been at Walton since the Fall of 2002. He received a Bachelor's Degree from Western Illinois University in 1991 and a Master's in Education from Auburn University in 1994. He played Soccer at Western Illinois University 1987 – 1991. His coaching experience includes, Shaw High School 1996 – 2001 where he took his team to two State Semi-Finalist Appearances (AAAA). He also coached the Buena Vista University Men & Women from 2001 – 2002. 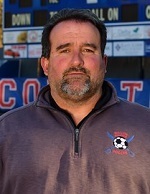 He has also coached Girl’s ODP teams (1999 – 2001). In 2017, Coach Wade led the Raiders to the Region 4-AAAAAAA Championship and the Georgia State Semi-Finals. He holds USSF "A", NATIONAL YOUTH, and NSCAA PREMIER LICENSES. Men's Varsity Assistant Coach - Marco Davila-Robertson, J.D. Coach Davila is both a teacher and coach at George Walton Comprehensive High School. He attended Emory University where he double majored and received a Bachelor of Arts degree in Philosophy and Political Science in 2002. After undergrad, he went to the University of Minnesota Law School where he received his Juris Doctor in 2005. 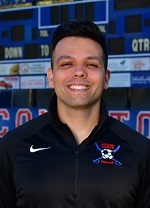 Coach Davila played soccer for 12 years and is enjoying his inaugural coaching season with the boys varsity team. This is Coach McEntyre's first year at Walton, and her first year as a teacher. She graduated from Kennesaw State University in 2016 with a Bachelor's of Science degree. She is currently working on her Master's Degree in Teaching Science. Before teaching, She worked as an EMT on the ambulance and in the ER. Mcentyre has coached soccer at the high school level for three years. She is excited for her first season as a Raider! Coach Vernon is a teacher and coach at Walton. He received a Bachelor's Degree in Industrial Engineering from Georgia Tech in 2006 and a Master's Degree from Mercer University in 2011. This is Coach Vernon's 5th year coaching high school soccer. Coach Vernon played for 27 years and grew up playing in the Cobb area. His 2017 Walton team went undefeated and untied. Coach JJ grew up in Marietta, GA. She played soccer for the Cobb Union Soccer Club and Pace Academy. She graduated from Auburn University with her B.S. and M.Ed. in Exercise Physiology and played striker for the Tigers. Coach JJ has been a licensed coach in the Cobb community for 28 years coaching many camps, as well as Dominion Christian, Eastside Christian and Fellowship Christian schools, winning 3 NAML titles. She was a developmental academy coach for Concorde Fire for 4 years before coming to Walton. Currently, JJ teaches PE for home schooled students in the Cobb area. 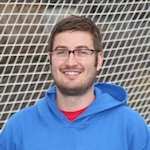 Coach Bellus began coaching as JV Womens soccer coach in 2006. He has also previously coached Walton's Football & Lacrosse teams. Prior to coming to Walton, he coached the running backs at Shiloh High School in Gwinnett Count and had other coaching experience in Ohio, Western New York state, Illinois and Virginia. Coach Bellus is a NY native. He graduated from Bishop Timon High School where he played football and was a member of the swimming team. 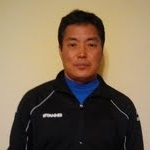 Mun Young Yi is our Walton Soccer Goalkeeper coach as well as the Goalkeeper Director for the Cherokee Impact Select Academy and Recreational Programs. Coach Mun was born in South Korea and played on the South Korean National Team for four years. He also played professional soccer for eleven years for clubs in South Korea and the United States. Coach Mun was the goalkeeper for the Atlanta Ruckus and Silverbacks for four years. Coach Mun coached at Tophat Soccer Club after his playing career. He also served as a goalkeeper coach for Druid Hills High School for three years. Currently he is involved as the goalkeeper coach for the Georgia Olympic Development Program (ODP). In that role he works closely with interim DOC for CSA Impact, Alex Pama, who is the head coach for the GA 1998 ODP girls.